The function of the ‘P’ Series Secondary Belt Conveyor Cleaner is to remove fine and sticky materials from the belt at the point of discharge, after the Primary ‘H’ Series Belt Cleaner has removed the course carryback. 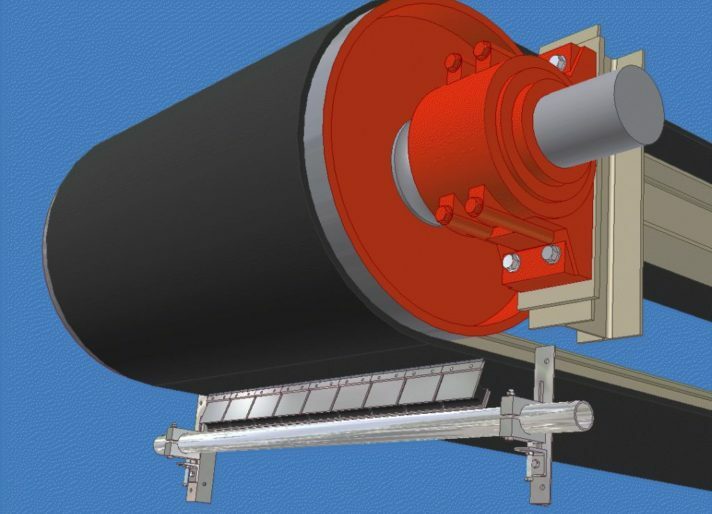 It prevents the fine sticky material from building up on the return conveyor rollers and support structures, as well as assisting with the provision of a clean and safe working environment for the bulk materials handling. Best used in conjunction with a ‘H’ Series cleaner as part of a total bulk materials handling conveyor belt cleaning solution. The ‘H’ Series will remove approximately 75% of course carryback thus preventing the overloading of the ‘P’ Series. Full stainless steel construction including Tungsten Carbide tip holder, cushion plates and fasteners. Minimise tip failure due to corrosion/erosion from product borne acids. 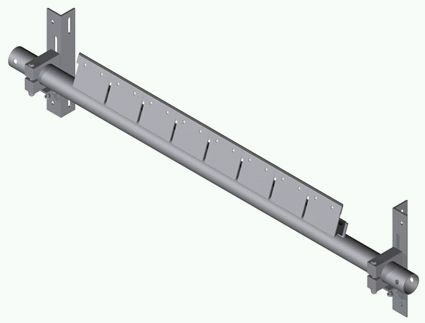 Features universal mounting bracket for ease of installation and minimum spares stocking requirements. Use as an individual conveyor belt cleaner or as a component of the complete belt cleaning system. Is designed for use on single direction conveyor belts only.